During a recent visit to Philadelphia, I stood in the West Wing of Independence Hall examining comments made by a Massachusetts delegate named Eldrige Gerry. Gerry’s comments serve as an example for visitors of the changes that were suggested to fix flaws in the Articles of Confederation. This would not be his last stake in history: Eldrige Gerry would go on to become an accomplished statesman and eventually be elected Governor of Massachusetts in 1812. But it was as governor that Gerry would make his most lasting contribution to the larger American political canon. History records that as a registered Democratic Republican, Governor Gerry devised a plan to redraw district lines that marginalized the Federalist voters within his state and handed his fellow party members an unfair advantage over any potential challenges. Infamy for Gerry came when a Boston Gazette newspaper article on March 26th 1812 highlighted one proposed district so skewed that it resembled the shape of a salamander – local reporters called it “Gerrymandering” in honor of its creator and the term has persisted for nearly two centuries. The lasting effect of this legacy has been the ire of good government groups everywhere. In New York, a reform coalition led by Former Mayor Ed Koch called NY Uprising successfully attracted a majority of legislators to sign on to a pledge last year to support the passage of an independent redistricting law, including a campaign statement of support by then-Democratic gubernatorial candidate Andrew Cuomo. (Now in office, the Governor has followed through by the releasing of a bill proposal of his own). Koch’s efforts coincide with those of supportive groups inside and outside of government, who are thankfully now beginning to gain momentum. Collectively, they desire to strip away the power that fuels partisan backroom dealing by bringing the electoral map-making process into the light through bi-partisan or independent nonpartisan commissions. Both on the national and state levels, Republicans and Democrats are pushing legislation that will increase oversight and require more comprehensive community input on the process. But what are some of the specific proposals? What are the different types of gerrymandering? What states practice which styles? And is their anything going on the federal level to address this critical issue facing our democracy? Some of these questions will be addressed this week as we take a closer look at the issue of redistricting from various angles here on the MYD blog. Out in the real world, we’re co-sponsoring a movie screening and a panel discussion to get us all up to speed on Wednesday. We’re hoping the mixture of blog posts, events, and discussions will create a rich context for you to draw your own conclusions. We invite you to contribute comments on our blog, join us on Facebook or chat with us on twitter. And this week’s conversations are just the beginning. In the weeks ahead, we must hold our state legislators accountable for pledges they signed last November and ensure that constituents are choosing their electeds – and not the other way around – here in New York. 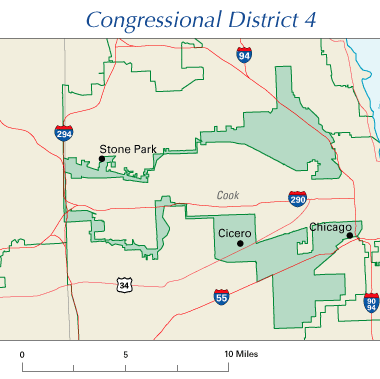 RSVP to the Gerrymandering Film Screening on Wednesday HERE.